According to the 2012 Home Design Trends Survey by the American Institute of Architects [AIA], interest has grown in designing homes with more open space and programmatic flexibility to provide a less formalized setting created for the individual lifestyle preferences of the homeowner. Always a key area for renovation, people are now looking to the bathroom as much more than a space for cleaning and grooming. Rather, it is fast evolving to become a main focus of the home, one where wellness, hygiene, technology, and relaxation seamlessly blend together. From the implementation of high tech features to the use of color and natural materials, Duravit has created a wide range of beautiful and functional products, which are setting trends in the bathroom. Human’s react to the spaces they inhabit. It is no surprise then that designers are building spaces and products that both indirectly and directly affect human wellness. Whether it be the design of an ergonomic chair that supports posture or the creation of an aesthetically pleasing space as a means of promoting health and long life, wellness and design certainly overlap. 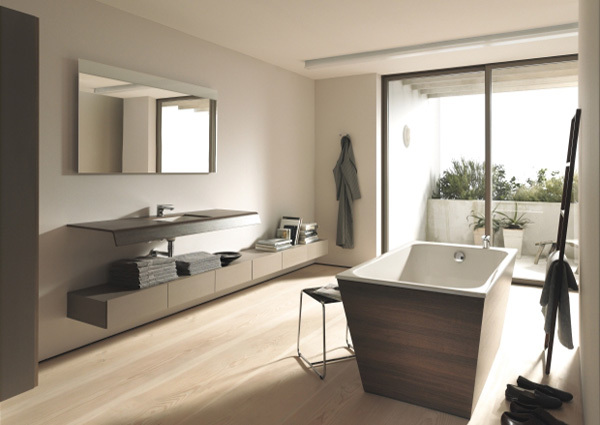 When it comes to the bathroom, Duravit presents a host of products designed to promote health and wellbeing. Notably, the SensoWash C shower-toilet designed by Philippe Starck, a fusion of toilet and bidet with multiple wash and dry features, brings a new level of hygiene and comfort to the bathroom. He shares, "What we invented [with Duravit] was a wet lounge where the toilet seat, the shower, and the bathtub become furniture like an armchair or table which you can discuss or share with your partner or with friends." The bathroom is no longer a merely functional place but has become an at home destination for respite and rejuvenation. Duravit pools and whirltubs add another appealing wellness feature for the bathroom, with therapeutic underwater sound and light options to enhance the overall experience. Universal Bath Covers provide a flexible and modular surface for further extending the time frame for lounging. Whether fully covering the tub to create a relaxation deck or just as a resting surface for water and reading materials when inside the tub, Duravit baths and Bath Covers present extensive options for recreating the bathroom as a spa getaway at home. Bathrooms are all about functionality, but recently, the bathroom seems to be about more. From in-shower sound systems to water saving features to personalized toilet and shower settings, there is a clear trend toward designing bathrooms with extra comfort and luxury experience in mind. The bathroom becomes the new living room, complete with lavish furnishings and high-tech accessories. But technology in the bath doesn’t have to mean excess. EOOS, the design team behind Duravit’s collapsible shower, OpenSpace, and the distinctive trapezoidal Paiova bathtubs shares, "What is needed are products that go hand in hand with sustainable materials and lifecycle design. Simply improving a product is not enough. We also have to re-design systems. For example, in the bathroom, the wastewater system plays an important role. As does energy, and many other elements." Duravit takes advantage of such new technology and leads the tech trend in the bath with products like SensoWash C, which has both water and energy saving technology. Providing the most in comfort, functionality, and aesthetics, SensoWash C’s sleek design packs a long list of feature, which include: a power-activated lid; a seat with rear, front and oscillating washes to provide three wash types that are differentiated for men and women; a nozzle with adjustable positioning and jet strength; as well as individual adjustment of water, air and seat surface temperature. SensoWash C represents design in action – here, advanced technology brings comfort, sustainability, and personalization to the bathroom experience. When it comes to color in the bathroom designers have a definite comfort zone, but a commitment to color can make for a really eye catching space. Duravit realized this with their introduction of Darling New. 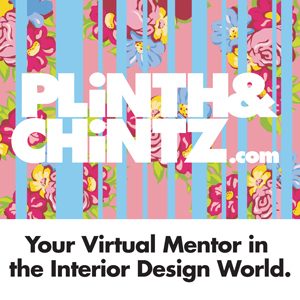 Because "Color is crucial in creating different moods" according to color expert and longtime Pantone consultant Leatrice Eiseman. Proving that a colorful bathroom can be just as chic as its minimalist white counterpart, Duravit’s Darling New collection presents a bold face to the world. In this case, refuting the notion "less is more," Darling New enlivens the bathroom by adding soothing blues and greens, which provoke relaxation and happiness. Universal Design describes the concept of designing products and the built environment to be both visually appealing and usable to the greatest extent by everyone – regardless of age, size, or ability. In a world where we can’t afford any waste, universal design is certainly a trending topic. 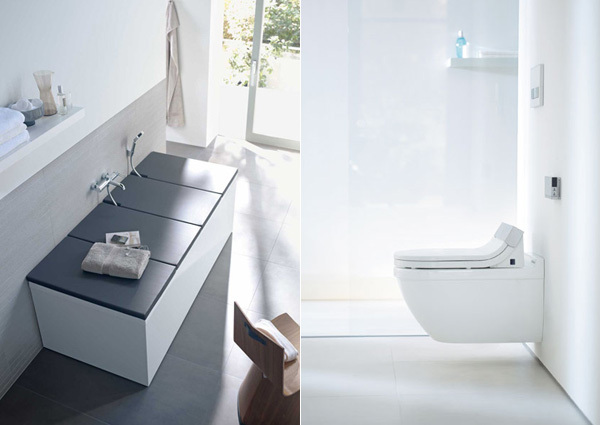 When it comes to the bathroom, Duravit’s Onto Collection stands out as a leader in this trend. Onto takes Duravit’s initiative to make a new level of design accessible for all bathrooms one step further. The design of the Onto tub especially embodies universal design – in addition to the standard-size models available, two tubs in the collection stand out for their unusual dimensions, which serve both functional and aesthetic purposes. 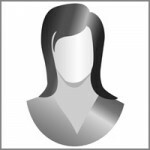 Universal design specialist, Cynthia Leibrock, whose mission is to improve the lives of older and disabled people through design, states "Designers must use their creative skills to universally design products and projects that accommodate all users, not just those of average size and ability." With Onto, Duravit and designer Matteo Thun have done just that. One model of the tub is a "flat" model, which has an intentionally shallow interior depth of 13 3/8" deep that enables all users, including children and people with restricted mobility, to step comfortably into the bathtub. At the same time, its surface area is large enough to enjoy a shower – a solution that makes it particularly suitable for business hotels. Universal Design is the trending topic in the design world, and Duravit reinterprets this trend for the semi-public restroom by designing high quality products with a striking aesthetic to be used by the general public. Duravit’s focus on the semi-public environment merges the company’s signature high-level of design and quality with the code requirements, efficiency of installation, and ease of maintenance that are necessary for commercial applications. Matteo Thun, who envisioned his Onto series as a clear champion for the beauty of economy, believes that cost engineering defines the aesthetics of the 21st century. Onto’s straightforward components are created for seamless ease throughout the product’s life, from planning the space to uncomplicated installation and easy cleaning and maintenance. These are appreciated not only in the private sector but also in the project business where every minute spent cleaning counts. Thun’s design places great importance on a neutrality of style that ensures understated longevity and timeless, lasting design. Matteo Thun says about Onto, "You could almost say that they are individual components rather than a range – they have a high design claim but no use-by date." Somewhere between bathtub, jacuzzi, and pool are Duravit’s Blue Moon and Sundeck pools, which lead a recent popular trend in home design- designing products that work both inside and out. Indoor/Outdoor furniture has been heralded by designers for its versatility for some time now. Blue Moon and Sundeck are champions of such versatility – featuring the highest level of elegance and refinement, capable of making a statement as a part of the most luxurious bathrooms, though also functional and durable enough to enable them to not only survive, but to thrive in the great outdoors. The pools offer spa-like features and round-the-clock bathing by maintaining a constant water temperature. Adding to their ease of use outdoors is the fact that a permanent water connection is unnecessary; a simple garden hose is all that’s required for filling. The warm and natural charm of wood is becoming increasingly popular in the bath, evoking a sense of the natural world and of wellbeing. As a place for wellness and relaxation, it is no surprise that wood has become a popular and elegant alternative to the expected tile in the bathroom. As the bathroom becomes a hybrid space for cleaning and grooming as well as relaxation, the tendency to use softer and less clinical materials emerges. Wood looks are growing in popularity, with many versions now available on the market, and Duravit has taken this trend in an even bolder direction. The Onto series features wood soaking tubs which not only add a natural feel to the bathroom, but also retain a classic and neutral style that ensures understated longevity, timelessness, and lasting design. 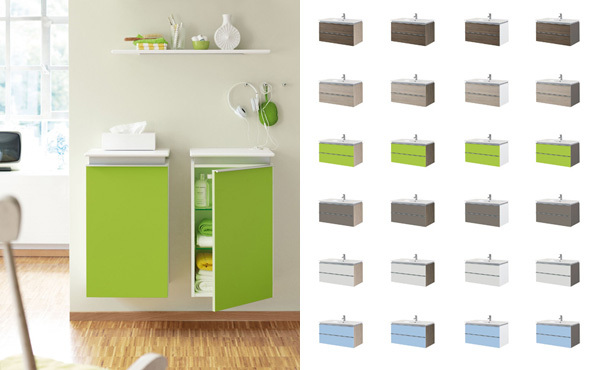 Duravit responded to this trend with the Onto collection, one that artfully pairs zero emission plywood with ceramic. A small bathroom doesn’t have to mean sacrificing style. The latest trend in home design is creating products that save space. According to the International Furnishings and Design Association [IFDA], "In the next ten years people will live in smaller spaces." With smaller spaces comes the need for more smartly designed products. Susan G. Doban of Brooklyn-based Doban Architecture, emphasizes "Carefully selected fixtures and accessories take center stage in a small bathroom where every decision not only counts but can be appreciated." Duravit leads this trend for the bathroom, designing luxury bathroom furniture in small packages. Duravit’s OpenSpace shower particularly stands out. Designed by EOOS specifically with small spaces in mind, OpenSpace is composed of a shower partition, which can be folded away and transformed into a discreet mirrored wall panel that tidily conceals tap fittings, shower attachments, shower gels and shampoos. Also not to be missed when it comes to big design in small packages are the company’s discreet Vero Handrinse basins. Starting at 10" x 18", the Handrinse basins are perfectly sized for the half bath or powder room where beauty with functionality is top priority. Thanks to a shifting cultural convention with regards to lifestyle values for the home, bathrooms continue to be one of the most popular and important areas of consideration when buying and renovating. This developing functionality ensures bathrooms will stay at the top of the list for homeowners. 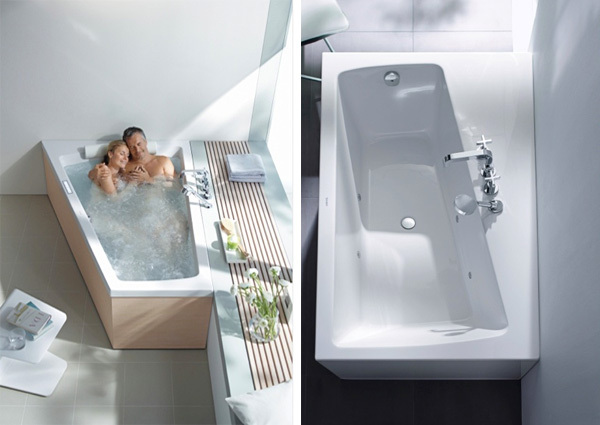 Founded in 1817 in the heart of Germany’s Black Forest, Duravit is a leading supplier of sanitary ceramics, bathroom furniture, whirlpool tubs, accessories, and wellness ideas. A leader in its industry, Duravit operates in 60 countries worldwide and has been honored with numerous national and international awards for its innovations in design and technology. Duravit’s collaborations with internationally renowned designers such as Philippe Starck, Phoenix Design, EOOS, Norman Foster and Sieger Design yield forward – thinking, environmentally – conscious and award-winning products that bring the bathroom to life. Duravit US headquarters are based in Duluth, GA. Trade and interested consumers are welcomed at Duravit’s state-of-the-art showroom at 105 Madison Avenue in New York’s newest design district. For more information on Duravit or to find a local distributor visit duravit.us or call 888-DURAVIT.